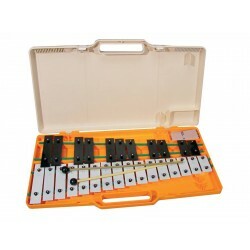 G5-A7 Black & white metal keys, 2 beaters included PP has released four affordable new glockenspiels that are ideal for beginners and advancing students alike. 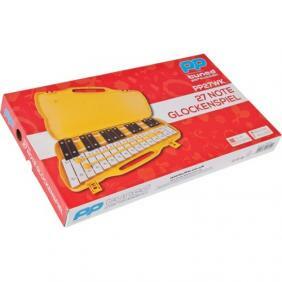 Bright, colourful and durable, and with consistent tuning across the range, the four glockenspiels are perfect for introducing youngsters to the idea of musical harmony. All are housed within a robust, practical carrying case with handle for easy transportation, and feature quality metal keys and a pair of beaters so players can get started immediately.